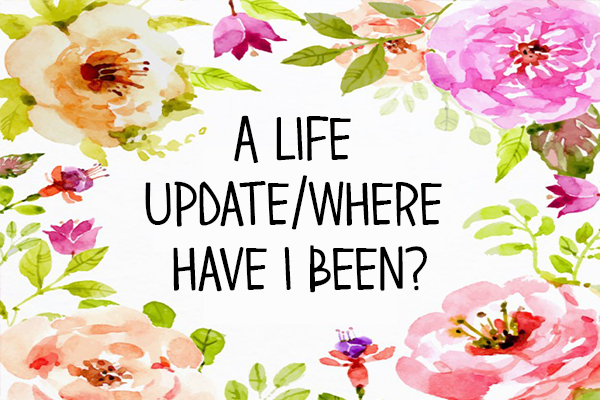 So I've been kind of absent in the blogging community for the past week or so. I haven't been commenting as much as I would usually or even at all most of the time. I had some blog posts queued so my posts were still going up but I've now ran out of drafts so I felt like I need to write this post to explain why my blog isn't going to be as active in the coming weeks. Right. Well this is going to be a fairly personal post so if that's not something your interested in you should probably leave now. So let's just dive in. The main reason I've not been very active is because me and my boyfriend of 3 years broke up. I realise now that this is what's best for both of us but it doesn't mean that it upsets me any less. We live together currently and will be until the end of university this year, which is obviously slightly awkward. I'm not going to say what happened that made us come to this but it wasn't pretty and it was a tough breakup, but living together as friends is even harder. I just feel quite down about the whole situation and really haven't been in the mood to do anything other than binge watch TV and drown my sorrows in a tub of ice cream, so I haven't even really read anything this month. I think I'll feel better in a few weeks when we're not living together and I can deal with this on my own and privately, but for now this is how it has to be so yeah, it's hard. My second reason is just university getting in the way. Exam season is coming up and I have soooo many assignments due in (that I of course left until the last minute). That mixed with wanting to do nothing at all means that I am way behind with university and I'm starting to get a bit stressed out by it! I need to play some serious catch up, which will probably mean me not blogging as much I would like to. So I'm at a bit of a loss at what to do? One option is to do more quick weekly meme's than normal because they're not too hard to write and I think I could manage to queue a few of them. Or I can try to post better content but maybe only once a week or twice at a push. I'm not really sure what people would prefer so please give me some advice in the comments! Thank you, that's very good advice! I'm starting to feel a little better about everything so hopefully my blogging game will be up to scratch again soon! I'm sorry you're having a hard time right now! With everything that's going on, your personal life and mental health are more important than blogging. Don't push yourself or sacrifice grades or mental health to do more posts than you can handle. If you need to take a break, do so. If you feel like posting only once or twice a week, that's totally fun too. Remember, blogging isn't a job, it's for fun :) I hope you feel better soon! Not sure I really have any useful advice, but I am sorry to hear what you're going through. Any break-up is hard but trying to continue living together doesn't even allow you the space you need to start to get over it properly. I suppose if it were me I wouldn't be worried about the blog and would just try to focus on school and myself. And just blog when/if I could. Hope you feel better soon. I'm so sorry that you're going through it right now. I think instead of feeling like you have to keep your readers entertained with posts, you should only do it when you feel up to it. Your readers will understand. I too have months where I go without posting because life just ends up getting too in the way for me to even feel like writing a review or a post. I hope things end up going better for you, dear! Sorry to hear you're having a hard time! My best advice is probably do what you think is easiest for you! Don't worry too much about what your blog followers will think because if they are truly loyal, they'll stick around until you feel ready to come back! Take all the time you need and I hope you feel better soon! I'm really sorry to hear about you and your boyfriend. I hope the semester goes by quick so you won't have to keep leaving together. I imagine that doesn't help the grieving process! Good luck with all of your school work too. Just focus on that - people will be here when you're ready to blog again. I wouldn't worry too much about what, if anything, you post, but if you want to - whatever works for you! I hope things get better for you, Kirsty. Good luck with catching up with your uni-work. You definitely got this! Don't worry about blogging duties and all. Real life is really more important! Thank you! I've got 4 exams left now and then I'm done so I'm starting to feel better! Thank you! Yeah, I didn't want to rush coming back to blogging but I am posting again tomorrow! I think I can manage it again now that I only have 4 exams left. I'm sorry for my reply being so late 😫! I'm so sorry to hear about the situation with you and your boyfriend. Breakups are tough enough without still having to live under the same roof afterwards. I definitely agree with those who say not to feel pressured about blogging and to take a break and focus on yourself if you need to. I hope all of your exams go okay! Thank you, we're not living together anymore but it's still not easy by any means. I did stop blogging for a while and I'm back now but i'm not posting as much still because I do have to revise for my exams!